Why ‘Amcanu’n Uchel Ltd’ ? 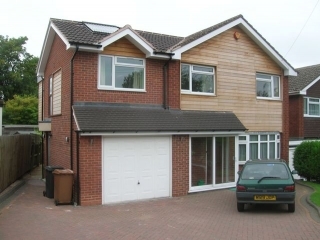 The brief was to provide additional family accommodation to this 1970’s detached dwelling, whilst also rationalising some of the existing internal spaces. 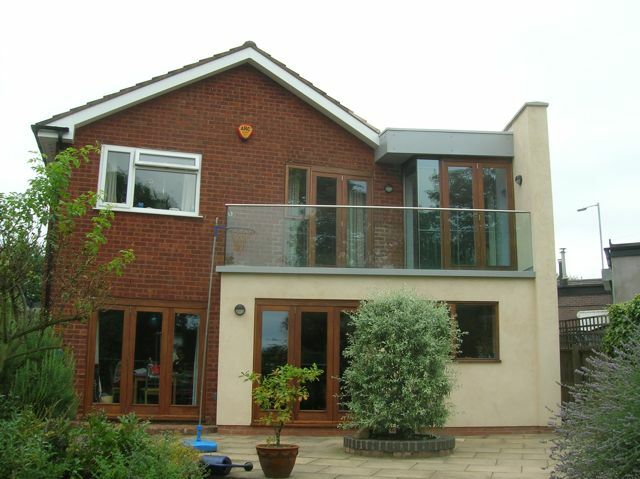 The property, being located on a tapered site, meant more than a conventional two storey side extension was required; fortunately our Clients in this instance were adventurous enough to want a contemporary styled extension. 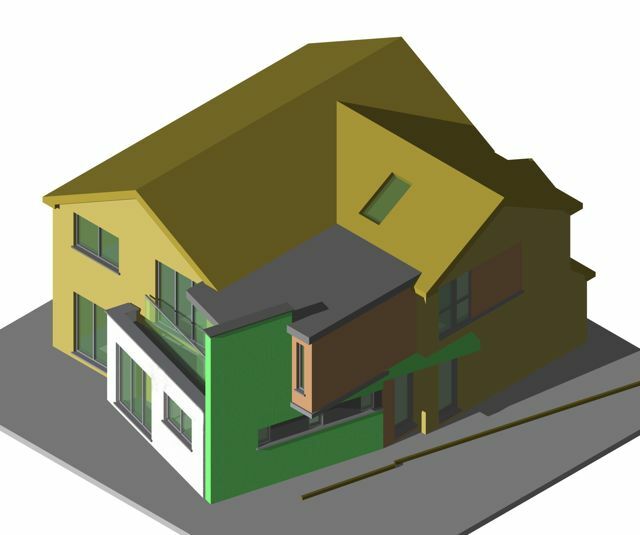 The taper to the site generated a rotation to the plan towards the rear of the property with a family kitchen / breakfast room created, the resultant wedge between the two axes lending itself ideally to a new side entrance and utility area. At first floor two bedrooms and an ensuite were added, the zone between new and old being joined by a newly configured american oak open tread staircase with light well above. The new master bedroom to the rear of the property cantilevers over the side entrance passageway below, benefiting from an external balcony to the rear with views across to countryside. Internally, the first floor generally respected the original orientation of the house creating expressive intrigue of the axis shift at first floor level to the side elevation with the creation of an overhang which was usefully used to mark and protect the entry to the utility space. 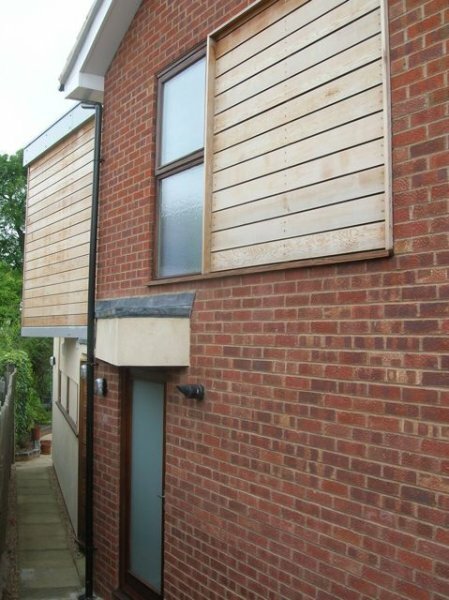 Much care was taken to ensure that externally the joining of ‘old and new’ aesthetically was minimised through the careful choice and use of materials in order that a coherent whole was created that was both fresh but also sensitive to its location. To the front elevation, the extension reflects the ‘style’ of the existing house, albeit reclad in part with western red cedar cladding. 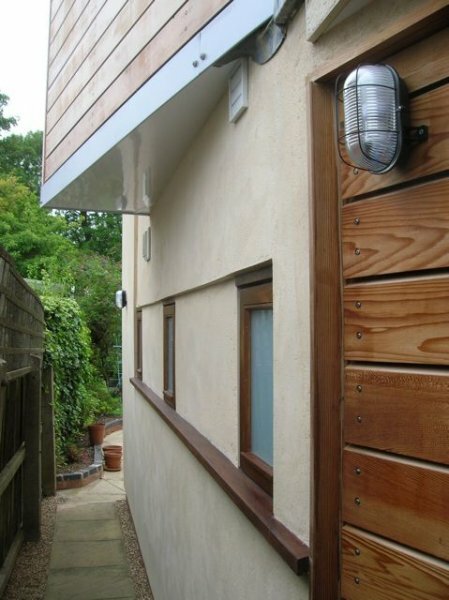 As one progresses along the side elevation the treatment becomes more contemporary with a cantilevered cedar box above a rendered panel. 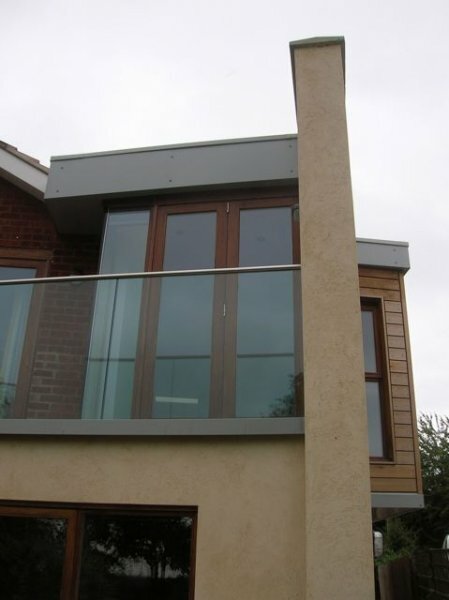 The rear elevation of the extension has large glazed windows and doors now orientated to allow as much benefit of the views as possible, as was part of the original brief.